Offering superior power, capability, and convenience for Regina and Moose Jaw, SK drivers, it’s no wonder the 2015 Dodge Grand Caravan reviews show it to be more beloved than the 2015 Honda Odyssey, 2015 Toyota Sienna, and the 2015 Kia Sedona. In fact, this is the latest model from the best-selling minivan line in Canada for over 30 years, and those decades of experience are discernible in every element of this stunning new model. 2015 Honda Odyssey: Starting at $30,350, the Odyssey LX is over $10,000 more expensive than the standard Grand Caravan. You could pick up a stunning Grand Caravan Crew – with 17-inch aluminum wheels, tri-zone climate control, and leather-wrapped steering wheel – and still pay less. 2015 Toyota Sienna: Demanding a minimum of $31,040, the Sienna FWD is even pricier than the Odyssey. Only a little bit more could get you a Grand Caravan Crew Plus with power liftgate and heated front seats. 2015 Kia Sedona: With a starting price of $27,495 the Sedona L is a little more affordable, but still over $7,500 more expensive than the standard Grand Caravan. The Grand Caravan SXT Plus is similarly priced, but boasts quad-halogen headlamps and premium styling. 2015 Honda Odyssey: The 3.5L i-VTEC V6 engine can provide only 248 hp. 2015 Toyota Sienna: A 3.5L DOHC produces 266 hp and 245 lb-ft of torque. 2015 Kia Sedona: The 3.3L V6 DOHC is just able to create 276 hp. 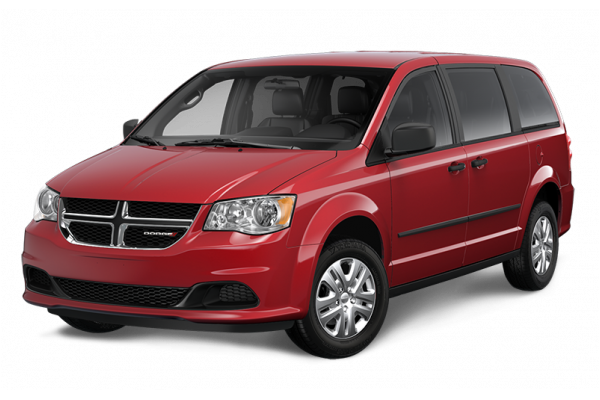 With a much more powerful engine beneath the hood, it should come as no surprise to Regina and Moose Jaw drivers that the 2015 Dodge Grand Caravan offers a best-in-class maximum tow rating of 1,633 kg. Allowing you to haul relatively large items, this unrivalled towing ability perfectly complements the Grand Caravan’s generous level of interior space.Fitted with less impressive engines, the 2015 Honda Odyssey, 2015 Toyota Sienna, and the 2015 Kia Sedona — along with every other minivan in this class — just can’t equal those figures. Each is able to tow up to an acceptable 1,588 kg, but you’ll need to pick up a Grand Caravan to enjoy the best capability available. In addition to its strong tow rating, the 2015 Dodge Grand Caravan includes numerous interior storage features that can’t be found in the 2015 Honda Odyssey, 2015 Toyota Sienna, or the 2015 Kia Sedona. Class-Exclusive Stow ‘n Place Roof Rack System: While still allowing you some extra cargo space when you need it, this system lets you stow the crossbars in the side rails when you aren’t using it, creating lower levels of drag, noise, and fuel-consumption. Industry-Exclusive Second-Row Super Stow ‘n Go Seats: With just the flick of a handle, the backrests will flip forward, the rear anchor will unhinge, and the seats will easily stow. With exclusive technology, leading power, and a lower starting price, the Dodge Grand Caravan reviews single it out as a top minivan for families in Regina and Moose Jaw, SK. Find out for yourself just how this brand has stayed so intensely popular for over three decades by coming to Crestview Chrysler today.